I don’t know about those new countdown clocks the DOT has put at the corner of Queens Blvd. and 71st/Continental. It sounded like a good idea and it just might save lives. But there’s something about the way they are designed that really bothers me. I think it is the fact that the countdown almost immediately turns a menacing orangish-red making the Queens Blvd. crossing, for this pedestrian anyway, even more unpleasant than it used to be! I mean, crossing Queens Blvd. used to just be about looking every which way so you didn’t get clipped by all those crazy drivers as they sped through the intersection ignoring your legal right of way to walk across. Now, it is not only about that, but it is also about trying to BEAT THE THREATENING COUNTDOWN CLOCK!!! Blvd. of Death, Meet Clock of Death! All well and good, except it is not the pedestrians who are killing the drivers. My suggestion – change the clocks so they are a soothing aqua-green as they countdown, subliminally affirming our right as pedestrians to walk across our city’s streets, and lengthen the time we have to cross while you’re at it. What’s the use of giving us a countdown to get across if you still have to be this guy to make it in time? Father, Daughter Hit on 108th St.
One of Edge of the City’s readers has contacted me about what she describes as “an horrific accident” that occurred last night at 108th and 66th Streets, across from Temple Beth Gavriel. This person says a father and his daughter were both hit by a car there while trying to cross. She says both were injured, but the last she heard they had survived. 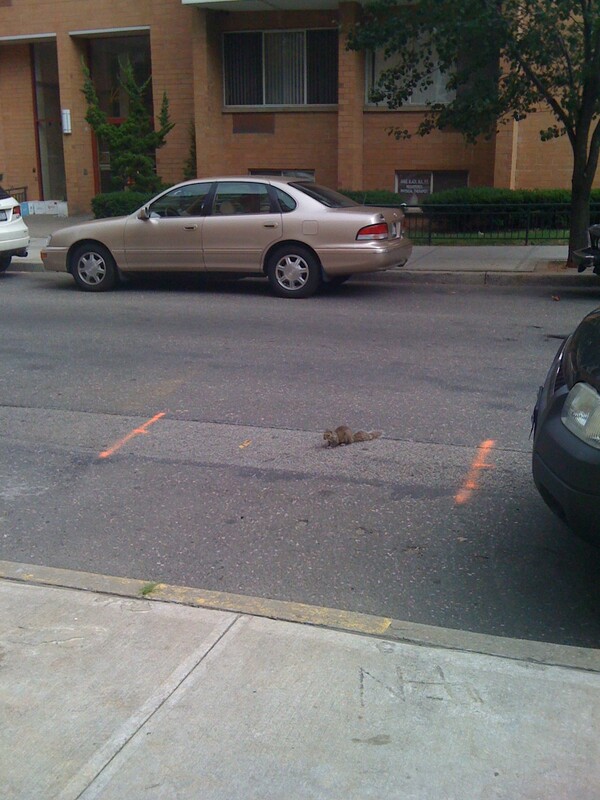 As readers of this blog know, I have long been pushing for more time to get across Queens Blvd. (I honestly don’t know how the elderly can make it across as it is set up now, with just about 40 seconds to cross.) Now I’m hearing about these types of tragedies occurring on other streets in our neighborhood. It’s so tragic because it really is so easily preventable if only the powers that be stopped favoring motorists over pedestrians. After all, a ton of us here in the City don’t even own a car and our feet are what we use to get around. I love how this article calls these “crashes,” as if it is too hard to simply acknowledge that these are slaughters of pedestrians by drivers, clear and simple. How many times I have almost been killed or maimed crossing Queens Blvd. by some irresponsible driver I don’t even know because it has happened so often. I always wait for the walk signal too, having so many, many years ago realized that to try to cross Queens Blvd. against the walk signal would almost surely eventually result in my demise. There is so much revealing–and potentially life saving information from this City study and the Times article–that this blog will be digesting it and referring to it for probably quite a while. Queen Blvd., after all, is one of the worst parts of living in Forest Hills. It’s a horrible mistake the way it is currently is, and one that needs to be dramatically altered to save future lives. Transportation officials say they are planning a media campaign to educate New Yorkers about safe driving practices — including a reminder that the standard speed limit for the city’s streets is 30 miles an hour, a fact that Ms. Sadik-Khan, in an informal poll of her friends, discovered that almost nobody knew. The study found that 43 percent of pedestrians killed in Manhattan did not live in that borough, and that Brooklyn had the most pedestrians killed or seriously hurt and Staten Island the fewest — both in raw numbers and per capita. Pedestrians would be well advised to favor sidewalks to the right of moving traffic — left-hand turns were three times as likely to cause a deadly crash as right-hand turns — and to stay particularly alert at intersections, where three-quarters of the crashes occurred. A study of crashes involving pedestrians offers insight into the life on the streets of New York City. 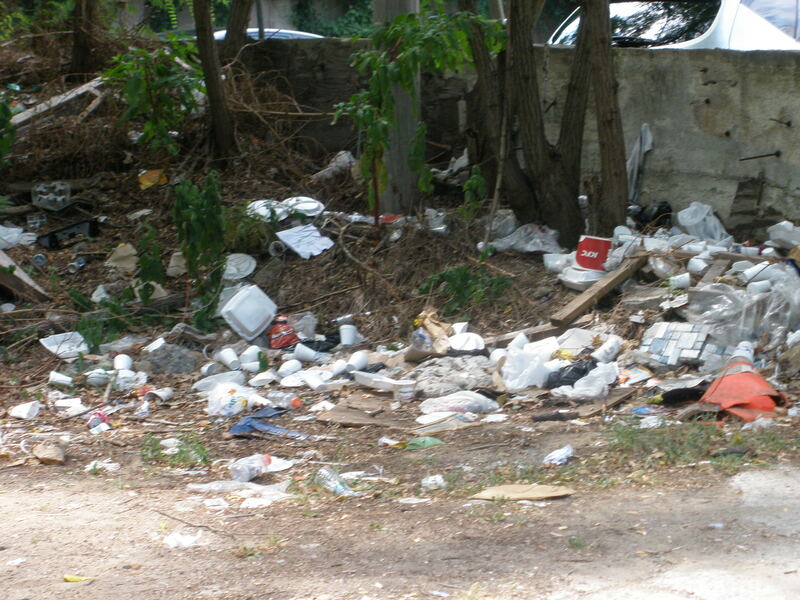 We all know that there is a certain percentage of the population that finds absolutely nothing wrong with littering. They have a little garbage in hand, they just toss it down on the ground as if the whole city is their own personal trash can. I’ve seen it done everywhere I go. Personally, I can’t understand it. But then again, people do a lot of things I can’t understand. 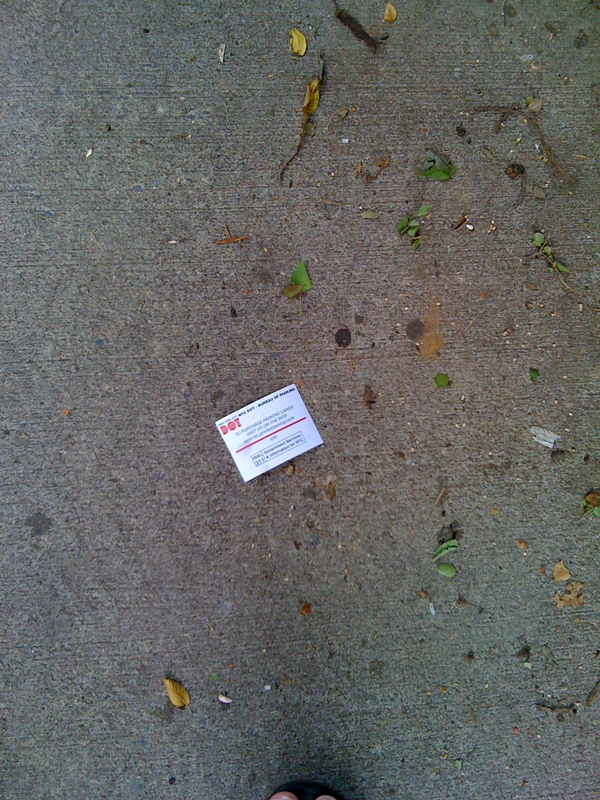 In Forest Hills I’ve run across and been alerted by readers to several specific litter problems but I am going to highlight just two for today. These NYC DOT little white parking tickets that people get from those machines. These have really become a problem. I have been noticing this for quite some time. 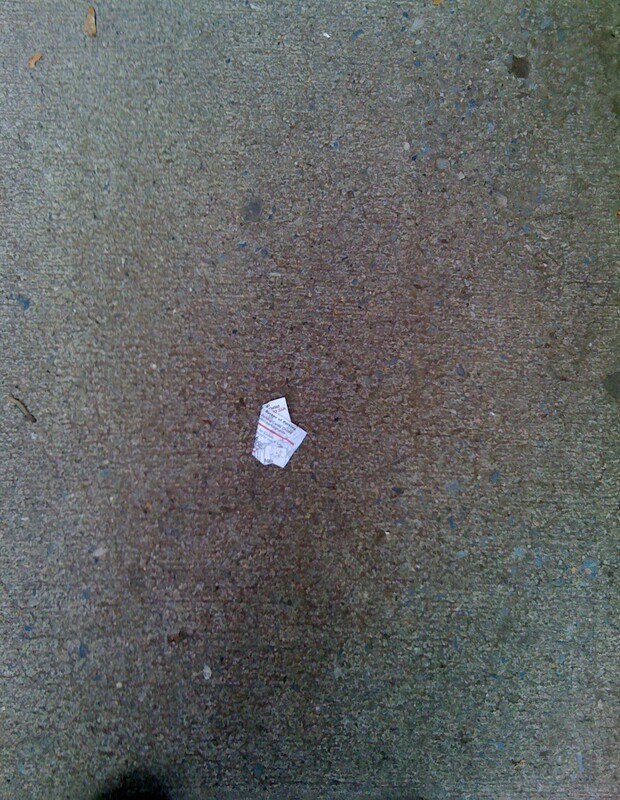 I don’t know if the drivers are just all litterers or these little pieces of paper are just falling out of their hands, or what, but it’s hard to walk down a street where there is public parking and not see it littered with these tickets. 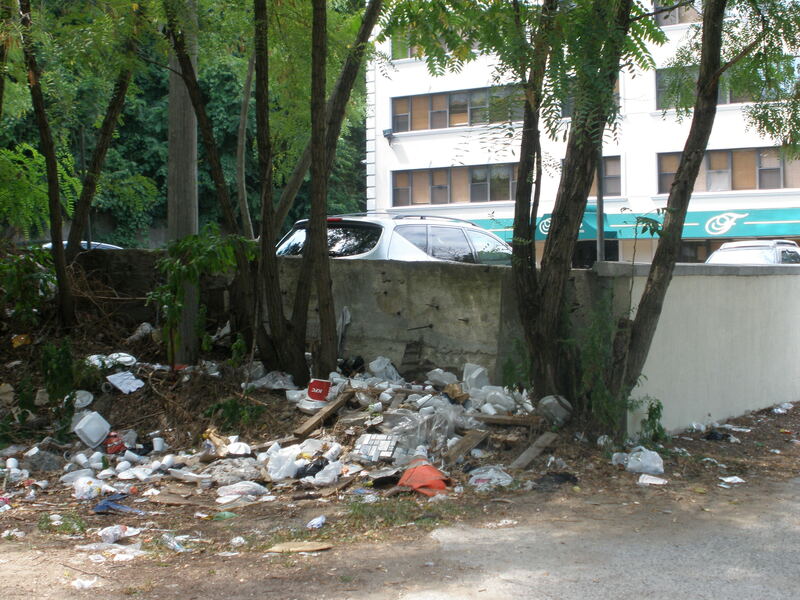 The garbage piling up in front of the abandoned Parkway Hospital. 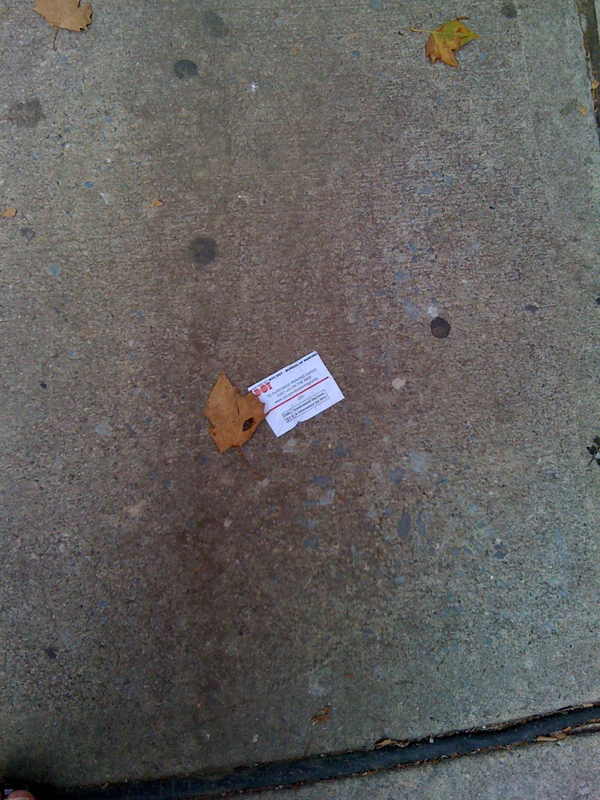 The City needs to either change its parking ticket system or somehow penalize those who throw their tickets on the ground. And of course the area near the hospital, along the service road to Grand Central Parkway, has obviously been neglected for too long. Can You Save My Spot? An innovative car-sharing idea being tried out in Hoboken… Would it work here? Is there a need for it? It’s certainly green, and looking at the forecast for this week, I say let’s try anything!